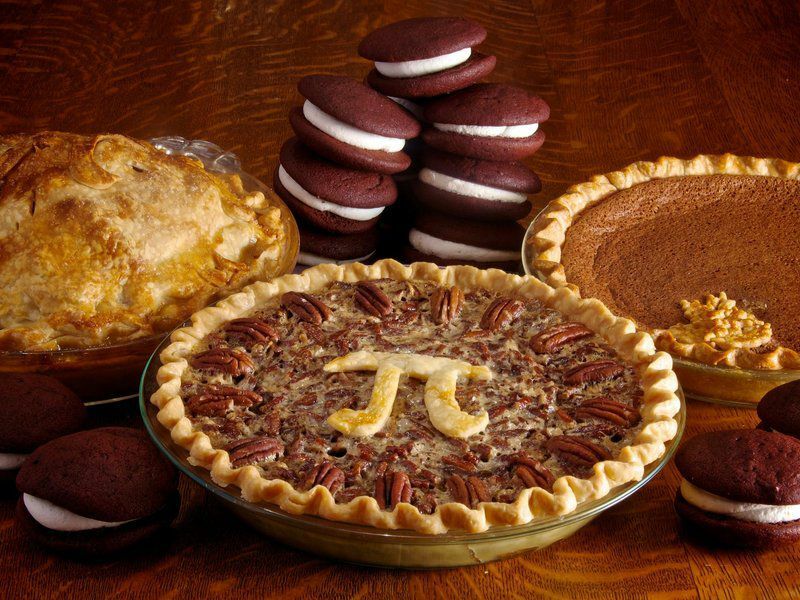 Teacher Resources > Monday Morning Ready > Happy Pi Day! Most holidays celebrate history. Why do you think that is? Pi Day is a holiday that celebrates math. Can you name any other math holidays? How about science and history? Why do you think people are so crazy about pi? The article mentions several notable moments in the history of pi. Which moment is your favorite? Why? Have students conduct research to learn how people around the world celebrate Pi Day. Encourage them to search for both instructional activities that students can do in the classroom and fun, interactive events that involve a larger audience. Rejoin as a class. Invite students to share what they learned. Guide the class to recognize that while Pi Day is based on a mathematical principle, the spirit of the day is fairly light-hearted. Instruct students to design a game for a Pi Day celebration. The game can be based on an existing idea or it can be something they imagined on their own. Have students present their games to the class. After all games are completed, invite classmates to share their opinions. How was each game connected to pi? Did each game have the light-hearted approach celebrated on Pi Day? Investigate the history of Pi Day as a class. Then divide the class into small groups. Instruct each group to create a game related to Pi Day. The only supplies they are allowed to use are pencils, paper and glue. Divide the class into small groups. Have groups investigate the history of Pi Day. Then instruct each group to create a game related to Pi Day. The game board must be shaped like a pie. Divide the class into small groups. Have groups investigate the history of Pi Day. Then instruct each group to create a game related to Pi Day. The game board must be shaped like the symbol for pi. Assign each student a partner. Have pairs investigate the history of Pi Day. Then instruct each pair to create a game related to Pi Day. The game board must be shaped like the symbol for pi, the playing pieces must be shaped like a piece of pie and the game must involve math. Read this Smithsonian article to learn why pi is more than just a famously never-ending number. It has a knack for appearing in the mathematical formulas we use every day. In this lesson, students will conduct surveys using nominees from the People’s Design Award, analyze data and present the results using a pictorial representation. Students will then design their own contest and mathematically determine a contest winner. Traveling Lightly: What’s My Footprint? Students will use measurement and basic math as they learn about the role of transportation in climate change. They will consider ways of minimizing impact on the environment. In this lesson plan, students create real-world math problems and consider how math applies to the design world. In this teacher-created lesson, students will design a game to help other students with math. Their work includes graphic design. In this lesson, students will conduct research to learn about the jazz-inspired life and art of Piet Mondrian. They will create a computer art piece using grid patterns of repeating shapes and paint their own music-inspired painting.